Memes have become a way to appreciate and participate in popular culture, a way to find solidarity, construct identity, and communicate with precision. Memes like Distracted Boyfriend and BBQ Becky are products of their times, and when people look back on them, they’ll be seen as more than just clever tools of satire: they are snapshots of what captured the public consciousness at the moment of their inception. This is no different in China. Here are five popular memes from 2018 that offer a snapshot of this year’s collective Chinese digital consciousness. #MeToo’s “rice bunny” incarnation is particularly fitting for the movement because of the meanings embedded in the characters. Rice is sustenance, while the rabbit is a symbol linked to femininity. Put together, one possible interpretation for “rice bunny” is “a basic entity required by all female individuals to survive” — a powerful sentiment that Chinese women could rally around. Tao Yuanming 陶渊明 was a Chinese poet born in AD 365, well known to this day for his great love for the chrysanthemum flower, a symbol of defiance and the anti-establishment spirit. His name was co-opted in 2018 by fans of Wang Ju 王菊, a defiant popstar-in-training who flouted mainstream beauty standards of “pale, thin, and sweet” as she battled for a spot in a new K-pop-style girls supergroup. Chinese memes access wordplay and nuances that reach back thousands of years along an unbroken linguistic and cultural line. 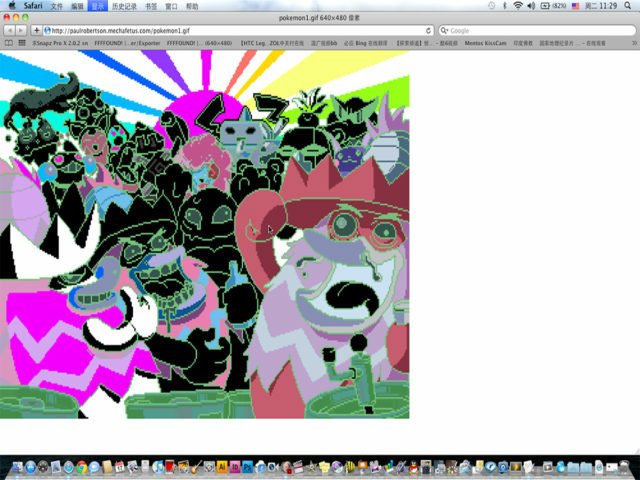 In generating memes, the Chinese often draw on older cultural assets. In the West, fans of popular culture give themselves names like “Cumberbitches” and “Potterheads,” but this sort of wordplay seems comparatively shallow when put up against a fourth-century landscape poet. The fact that Wang Ju fans are able to select a name for themselves that also speaks of what they love most about their idol is a fine example of Chinese memes as an extension of high culture. The koi is an auspicious symbol of good fortune to come, for each fish has the potential to become a dragon if it leaps through the Dragon Gate. As an internet meme, it plays on the word 转 (zhuǎn), which means to “share online,” but also to “reverse,” as in “reversing bad luck to good.” Images of koi spread across the Chinese internet in a fashion similar to chain emails, promising good luck to those who share. Others share koi images in social media as a way to pray for good outcomes. In these uncertain times, when Chinese people frequently cite their disgust for society’s moral decay and people’s untrustworthiness, this meme is a way for people to show their wit and cynicism, but more importantly, their ability to see the truth of things — not unlike the “Condescending Wonka” meme in the West, in which the same bemused face of Gene Wilder remains forever unimpressed. This meme emerged from The Story of Yanxi Palace, the hottest show of the year and most Googled show in the world in 2018. The Chinese word for male protagonist is 男主角 (nán zhǔjiǎo), which is a homophone for 男猪脚 (nán zhūjiǎo), meaning “male pig’s feet.” 大猪蹄子 (dà zhū tízi) is an even more vulgar way to say “pig’s feet,” emphasizing its oafish and disgusting quality. At first, this phrase appeared in the form of “bullet screen” (弹幕 dànmù), which is a feature that allows streaming viewers to send comments that travel across the screen in real-time. These “bullets” — “men are all pig’s feet” — were hurled by viewers thoroughly disgusted at the male characters’ self-centered and duplicitous behavior. Naturally, it wasn’t long before this went beyond commentary on the show and was applied to men at large, joining the ranks of 直男癌 (zhínán ái) — straight-man cancer — as the latest phrase used to call out male chauvinist behavior. The popularity of this meme is no accident, as the patriarchal order in China is increasingly challenged by women who will no longer put up with boorish men. 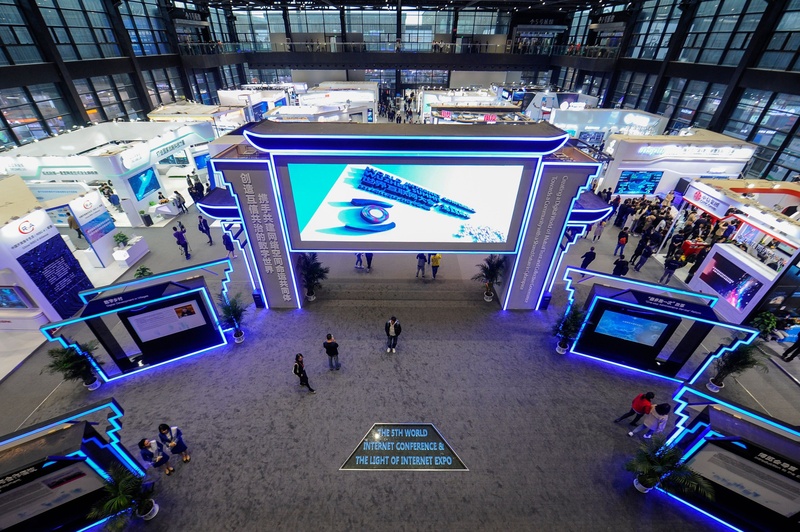 Ever since Chinese President Xi Jinping marked the opening of the first World Internet Conference in 2014, it was meant to usher in a new era of digital openness and project China as a champion of global cyber-governance. The forum’s mastermind — then-cyberspace czar Lu Wei — began aggressively courting U.S. technology giants, leading delegations of the Chinese industry’s brightest around Silicon Valley. In 2017, Apple Inc. Chief Executive Officer Tim Cook and Alphabet Inc.’s Google CEO Sundar Pichai headlined the event in the town of Wuzhen. All I Know Is What’s On The Internet is a new exhibition from The Photographers’ Gallery that presents the work of 11 contemporary artists and groups seeking to map, visualise and question the cultural dynamics of 21st Century image culture. Importantly, it investigates the systems through which today’s photographic images multiply online and asks what new forms of value, knowledge, meaning and labour arise from this endless (re)circulation of content. Traditionally, photography has played a central role in documenting the world and helping us understand our place within it. However, in a social media age, the problem of understanding an individual photograph is being overwhelmed by the industrial challenge of processing millions of images within a frantically accelerated timeframe. Visual knowledge and authenticity are now inextricably linked to a ‘like’ economy, subject to the (largely invisible) actions of bots, crowd-sourced workers, Western tech companies and ‘intelligent’ machines. The exhibition considers the changing status of photography, as well as the agency of the photographer and the role of the viewer within this new landscape. The artists involved draw attention to the neglected corners of image production, making visible the vast infrastructure of digital platforms and human labour required to support the endless churn of selfies, cat pics and memes. Certain works draw specifically on the experiences of content moderators, clickworkers and Google Street View photographers, and invite visitors to consider their own position in the image flow. All I Know Is What’s On The Internet presents a radical exploration of photography when the boundaries between truth and fiction, machine and human are being increasingly called into question. ‘Asia as Method: Transnational Research in the Museum’, Tate Modern 6–7th December 2018. Tate invites scholars and curators to apply for funding to attend the symposium ‘Asia as Method: Transnational Research in the Museum’ at Tate Modern on 6–7 December 2018. 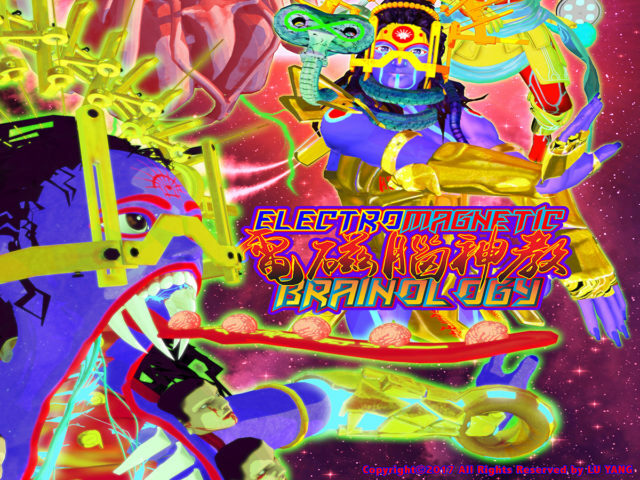 This international symposium, hosted by Tate Research Centre: Asia, represents the culmination of a six-year research project at Tate. Established in 2012 following a generous grant from the Andrew W. Mellon Foundation, Tate Research Centre: Asia has sought to deepen awareness of Tate’s growing international collection by developing access, public understanding and critical interpretation of Asian art. This symposium will provide the opportunity to hear from the centre’s researchers, who have worked on varied projects that have been committed to furthering the documentation, acquisition and display of modern and contemporary Asian art at Tate. This funding will allow early career scholars and curators to hear from specialists in the field of Asian art and to meet with a broad network of researchers, scholars and curators. Participants in the travel grant programme will receive funds sufficient to cover their travel costs and three nights’ accommodation in London within a set criteria. To apply, please send a CV and cover letter (400 words) in PDF format indicating how attending this symposium will benefit your work and send it via email to trc.asia@tate.org.uk by 26 October 2018, 5pm GMT. The selected candidates will be notified by 9 November 2018. I’m delighted to announce that I have been awarded the British Association of Chinese Studies (BACS) Early Career Researcher Prize. The prize was awarded at the BACS annual conference which was held this year at Kings College, London. 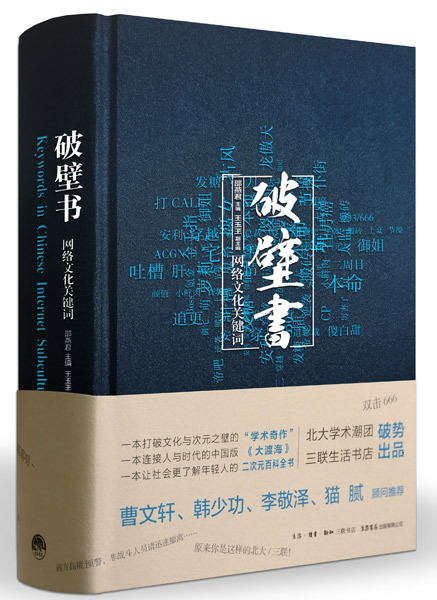 I was awarded the prize for my essay ‘Bad Citizens and Symbolic Subjects: Wang Jin, Zhou Tiehai and the Art of (In)Civility’ which will be published in a forthcoming issue of the Journal of the British Association of Chinese Studies. The essay is an excerpt from my current book project, The Art of (In)civility: Rudeness and Representation in Postsocialist China. promote early career researchers in the field. I’m really honoured to receive this award and would like to thank the BACS committee for providing this wonderful platform for early career researchers such as myself to share their work with the wider China studies community. Many people outside China either still haven’t heard of WeChat or they think it’s the country’s equivalent of popular messaging service WhatsApp or social media giant Facebook. For many people in China, WeChat is much more – it is not an overstatement to say it’s an indispensable part of their everyday lives. WeChat, or Weixin as it’s known in China, began life in a southern corner of the country at the Tencent Guangzhou Research and Project centre in October 2010. Since then, it has grown into the most popular mobile app in the country with over 1 billion monthly active users who chat, play games, shop, read news, pay for meals and post their thoughts and pictures. Today, you can even book a doctor’s appointment or arrange a time slot to file for a divorce at the civil affairs authority. The seven-year-old app has also laid the foundations for stellar growth at Shenzhen-based Tencent Holdings, the tech giant behind WeChat, turning it into one of the most influential companies in China and grabbing the attention of global investors. Since the official launch of WeChat in January 2011, Tencent’s market capitalisation has risen over tenfold. Yet, the company has hit a speed bump. 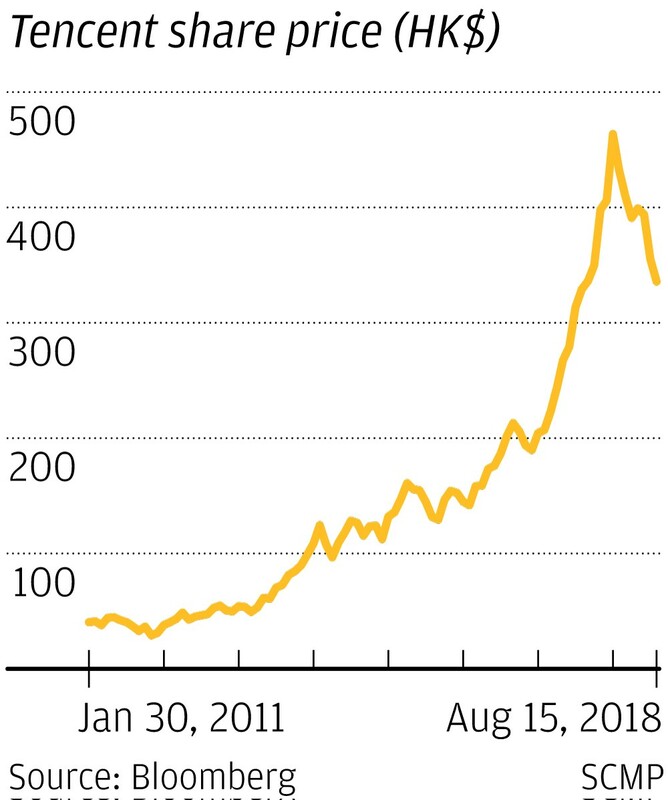 Tencent has lost 29 per cent since a peak of HK$476.6 a share in January this year to trade at HK$336, erasing US$170 billion from its market value as of Wednesday’s close. 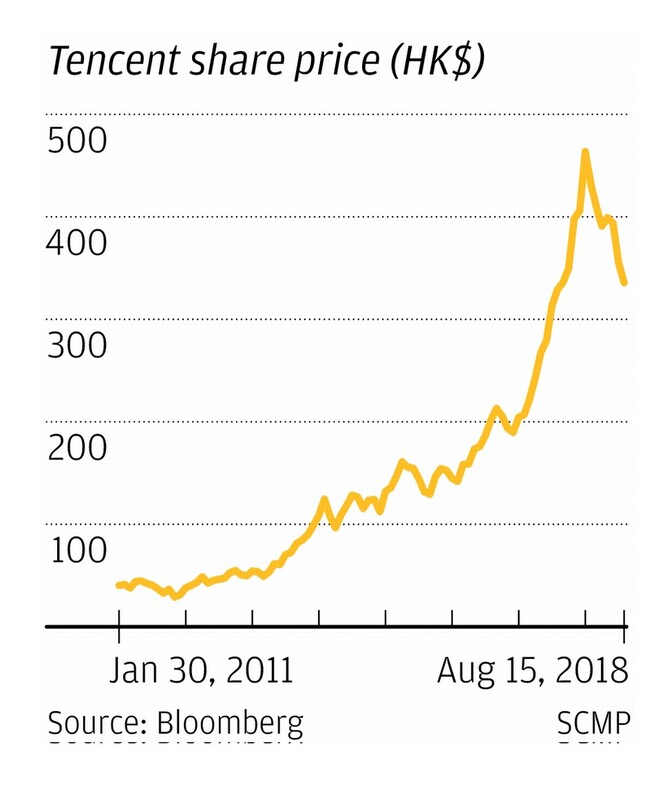 Even before this sharp fall, some commentators had been asking whether Tencent has “lost its dream”, by focusing on growth through investment rather than the type of organic innovation that led to the creation of WeChat. After the market close on Wednesday, Tencent reported a 2 per cent drop in second-quarter profit on lower gaming revenue and investment-related gains. Net income fell to 17.9 billion yuan (US$2.6 billion) in the quarter ended June 30, compared with the 19.3 billion yuan average of 12 analyst estimates compiled by Bloomberg. Sales were 73.7 billion yuan, missing analyst estimates. Tencent’s overseas counterpart Facebook, with 1.47 billion daily active users (DAU) and 2.23 billion monthly active users (MAU), experienced a stock price loss of over 20 per cent after announcing its slowest quarterly user growth since 2011 in its second quarter earnings report in July. However, Tencent is still in the early stages of monetising its WeChat user base. Cautious to avoid flooding user timelines with ads, WeChat currently allows a maximum of two ads a day to appear on its social platform Moments, which is “extremely conservative compared to our global peers” said Tencent’s Chief Strategy Officer James Gordon Mitchell in a May conference call with analysts. “With improving targeting capability, opening up of inventory and roll-out of ad formats, we expect increasing dollar shift to social performance-based advertising, of which Tencent … should be the key beneficiary,” Jefferies analyst Karen Chan wrote in a research note in July. Other analysts are also optimistic on WeChat’s prospects. Mini programs refer to applications typically smaller than 10 megabytes that can run instantly on the main app’s interface. They offer speed of access to users because a program does not have to be downloaded from an app store, they can run from within the app. This innovation allows platforms to host multiple services, turning them into super-apps, delivering greater convenience to consumers in the world’s largest smartphone market. Mini programs are aimed at keeping users within the WeChat ecosystem, at a time when short video apps are on the rise. In June, the percentage of time spent on messaging apps among mobile users declined from 36 to 30.2 per cent compared to the same time last year, while time spent on short video apps rose from 2 to 8.8 per cent, according to figures provided by internet data services provider QuestMobile in July. However, mini programs are just the latest in a long line of innovations at Tencent’s WeChat. When Tencent’s flagship messaging service QQ was the dominant player in social media in China, Tencent founder, chairman and CEO Ma Huateng [know as Pony Ma] did not rest on his laurels. He spotted the inevitable shift in traffic from PCs to mobile internet in 2010, as smartphones led by Apple’s iPhone, gained in popularity. Ma knew that a mobile instant messenger would be the key to the future. Allen Zhang, the head of QQ Mail Mobile in 2010, led a team with less than 10 members to develop the first version of WeChat in less than 70 days, beating out two other internal teams working on the same project. Zhang joined Tencent in 2005 when his Foxmail business was bought by Tencent and became the head of QQ Mail Mobile. “WeChat is a strategically important platform for Tencent because it will help to sustain and evolve our social leadership from PC to newer mobile devices,” Martin Lau, president of Tencent, said in a conference call in 2011. Tencent provided information about WeChat’s latest developments but did not make executives, including Allen Zhang, available for interviews for this article. The South China Morning Post reviewed conference call transcripts, filings, public speeches and local reports dating back to 2010 in researching the development of WeChat for this story. The first version of WeChat only allowed users to send text messages and photos. The launch received little response from the market, at a time when instant messengers such as Feixin, an SMS app by China Mobile, and MiTalk Messenger by Xiaomi, were already on the scene. “It cannot send a short message to someone’s phone number (like Feixin). It does not have the functionality of QQ. What’s the meaning of having this app,” one user wrote in the comments section on WeChat’s iOS app store page seven years ago, rating WeChat one star. The inflection point for the WeChat team arrived in May 2011 when it was updated with voice messaging, enabling a user’s phone to work like a walkie-talkie. Daily user growth spurted from 10,000 to up to 60,000. “The voice message [function] turned senior businesspeople who weren’t used to typing on smartphones into our WeChat users,” Ma recalled in a speech in Tsinghua in 2016. WeChat evolved quickly, including new functions such as ‘Shake’, which connected users who were randomly shaking their phone at the same time, and ‘Message in a Bottle’, which enabled messages to be sent to random users. In July 2011, it added location-based service ‘People Nearby’ that allowed users to connect with strangers close to them. In Zhang’s words, this was a “game changer” and pushed daily user growth to 100,000. 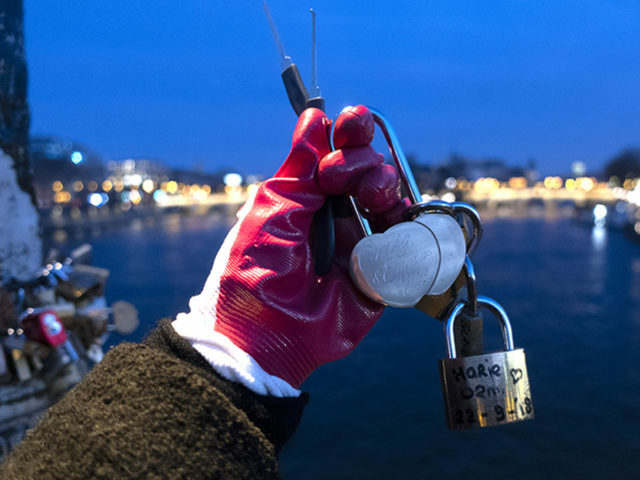 “Shake and Message in a Bottle as well as People Nearby were born at the right time, offering access to different people,” said Lu Shushen, a former WeChat employee in an article on his WeChat account, referring to social networking among strangers. By March 2012, WeChat had exceeded 100 million registered user accounts – just 433 days after launch. WeChat users grew in tandem with smartphone growth in China. In 2010, when WeChat was still a research project, there were only 36.1 million smartphone unit sales in China. That number increased to 90.6 million in 2011 when WeChat was officially launched and had rocketed to 214.2 million by 2012. But WeChat was growing even faster than this and was gradually leaving its competitors further behind. Feixin, for example, was reluctant to open up its messaging service to non-China Mobile users and MiTalk struggled to provide a stable user experience. WhatsApp, WeChat’s biggest overseas rival today, was available to the Chinese market at that time [it was later banned by China in 2017 ahead of a major Communist Party congress] but missed its opportunity without any localisation or promotion in the market, China Channel’s Brennan recalls. WeChat was also evolving into a hybrid social network, with the introduction of its sharing service Moments, the blog-like Official Accounts to help brands and content producers market themselves, and a games publishing platform. WeChat added payments to the platform in 2013, and for a while this was limited to paying for games, virtual items and services such as mobile subscriptions. But when ‘Official Accounts’ were added to WeChat in 2013, Tencent’s management were hoping that this would transform WeChat into a full service platform. Any WeChat user can set up an Official Account to broadcast messages and articles to their followers like a blog, but brands and service providers can also use these accounts to service customers. Today users can buy products, order meals or make a doctor’s appointment – among many other things through this channel. However, while WeChat Pay got off to a relatively slow start, the game was about to change in a major way. Before the Lunar New Year of 2014, Tencent co-founder Tony Zhang assigned a WeChat team member to improve the way Tencent traditionally handed out hongbao – red envelopes with money inside as a gift for Lunar New Year – to staff. As a result, the WeChat Red Packet was developed as a way to send “virtual” money to friends. WeChat’s Red Packet became an overnight sensation during the 2014 holiday period with over 8 million Chinese receiving over 40 million hongbaos during the period, leading Alibaba’s founder Jack Ma to dub it the “attack on Pearl Harbour”. Users started to tie their bank accounts to their WeChat mobile wallet and it started to compete with Alipay – an already established mobile payments service from Alibaba Group Holding, parent of the South China Morning Post. In 2018, 688 million people used WeChat’s hongbao service on Lunar New Year’s Eve. Which brings the story back to WeChat’s mini programs. By enabling greater functionality within the WeChat ecosystem without the need to download an external app, mini programs are aimed at driving customer loyalty, or stickiness, within the WeChat app. “We view mini programs as an enhancement of our Official Accounts system, designed to connect offline service providers with users online,” Tencent’s Lau said in 2017. The concept of mini programs did not fully take off until January 2018 though when Tiao Yi Tiao, a jumping mini game, recorded 100 million daily active users after being launched in late December. “We have had our ups and downs this year, but in general, I think we have met our initial expectations,” said Tony Zhang in a January interview in the People’s Daily, the ruling Communist Party’s mouthpiece. By the second quarter of 2018, the number of WeChat mini programs reached one million and mini program users surpassed 600 million in June this year. 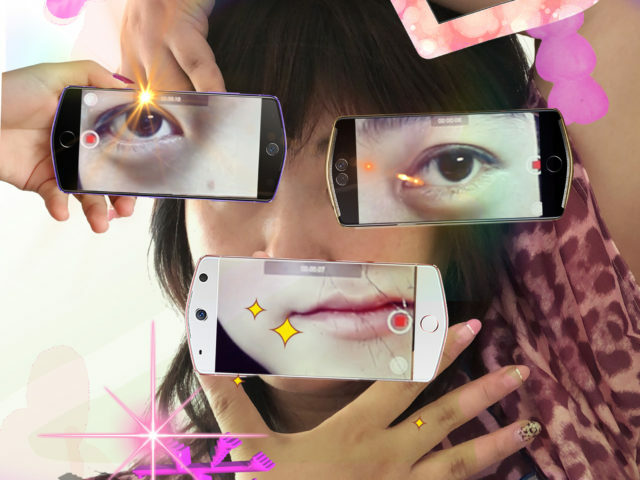 For this year’s ‘Art Night London’ Miao Ying created a new VR piece called Happily Contained, an interactive installation that appropriates ubiquitous online imagery to probe the mediated nature of our contemporary digital existences. Deconstructing the iconography of the ‘American Dream’ in all its technicolour, patriotic and kitsch glory, the piece offered a thought provoking meditation on the making and selling of national ideologies and their online afterlives in the data streams of global mass media. Displayed in the show room of a new housing development, visitors were directed to the marketing suite of the Embassy Gardens, where they were invited to don VR headsets in the plush surrounds of a fantasy home. Apparently the location was deliberately selected not just for its close proximity to the American Embassy, but also as it mirrors “how tech companies push branded lifestyles with targeted advertising, by tracking and monetising their users’ data.” In many ways it reminded me of the pop up exhibitions staged in many of the showrooms of Beijing’s luxury housing developments- and the often disquieting disconnect between the aspirational lifestyles being marketed to urban consumers and the human, environmental and social impact of these developments. 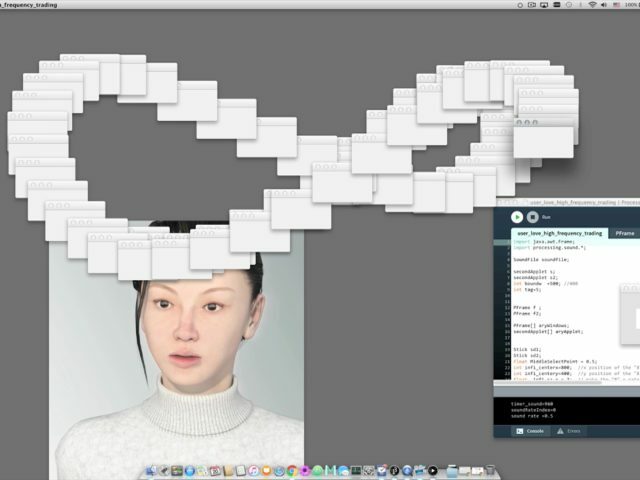 ‘Meanwhile in China…Miao Ying and the rise of “Chinternet Ugly”’, ARTMargins, Vol. 7, No. 1, (Feb 2018), pp. 31-57.